Fossum Dental Group hosted their 5th annual Community Dental Day in February of 2017 treating 105 folks from surrounding communities that normally cannot afford basic dental care. This concept was born in 2013 when our team wanted make a difference in people's lives. So we did what we do best, provided caring dentistry! We offered patients one service, a cleaning, fillings or extractions and in many cases preforming multiple services on patients both old and young. All for free. We could not have done this without the support of our gracious team and our community. We are looking forward to our next community project. 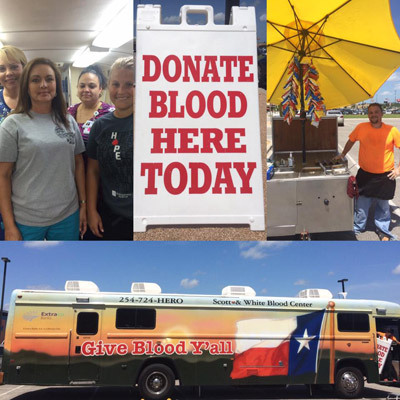 Benchmark Family Dental and Scott and White Healthcare Blood Care Center partnered together in July 2015 and April 2016 to host "Donation Nation" a company-wide blood drive throughout central Texas. We are offered oral cancer screening vouchers and other goodies to all donors. We are proud to give back to our community and was recognized with the 2015 Community Hero Award, Outstanding Corporate Blood Drive as well as an outstanding coordinator award. Benchmark Family Dental has proudly supported Food for Families and the food pantry in Killeen since 2012. This is one-day food drive that collects non-perishable food and monetary donations to fill the pantries and serve those in our communities that need it most. Food for Families began in 1990 and is project for the Boy Scouts of America, H.E.B. Grocery Company, the Texas Army National Guard, and KWTx – TV and is the largest food drive in Central Texas. Ask us how you can make a difference. This year Benchmark Family Dental collected 6,239 pounds of food for donation. Benchmark Family Dental is committed to educating our community about the risks of oral cancer and believes that early detection saves live. Each April MHFD hosts a free oral cancer screening event to spread awareness about this silent killer. 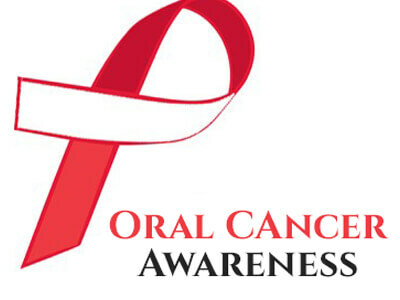 Each year close to 43,250 Americans will be diagnosed with oral cancer. It will cause over 8,000 deaths, killing roughly 1 person per hour, 24 hours per day. Of those 43,250 newly diagnosed individuals, only slightly more than half will be alive in 5 years. Early detection may save your life. Learn More.